All plans include ALL VPN locations! Enjoy internet freedom with high grade (2048bit) data encryption and personal data protection. Use public WIFI and online services without risks. Many ISP's block VPN traffic. Microsoft's built in SSTP uses the same kind of traffic as any of the millions of secure websites and can be used even on the most heavily screened networks. 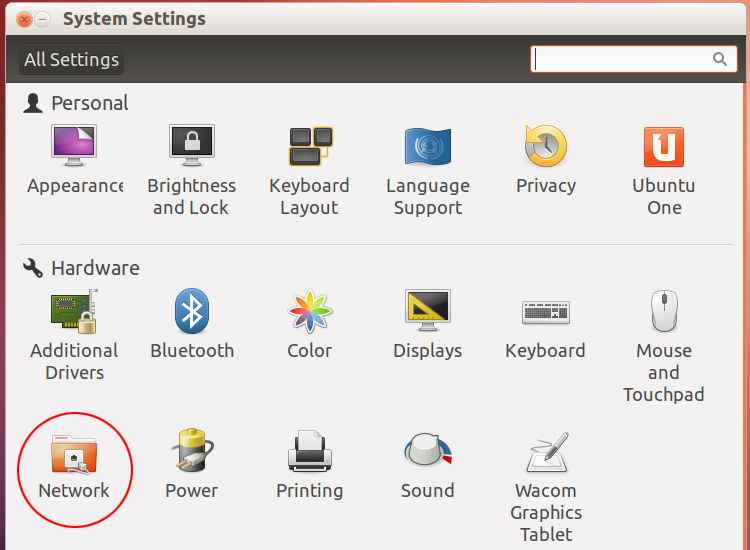 Click on the configuration icon. 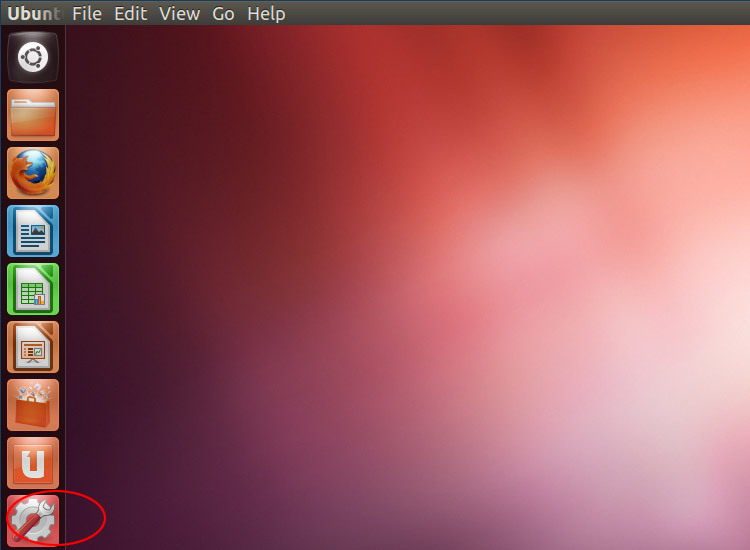 Click the plus sign in the lower left corner of the network panel. 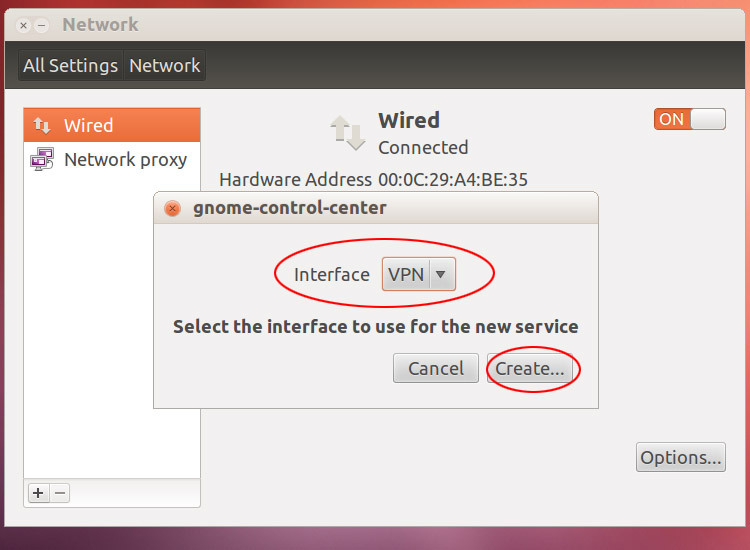 Add a new VPN interface and click Create. 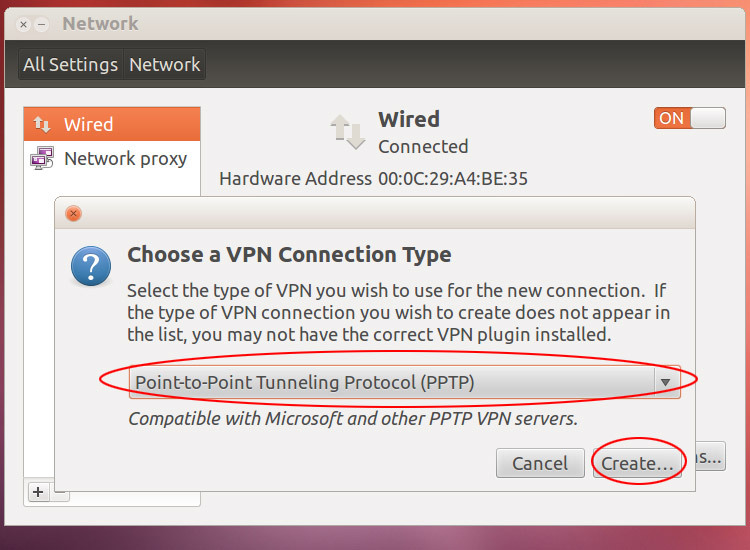 Select PPTP as the VPN type and click Create. Edit the parameters of the connection as seen below. 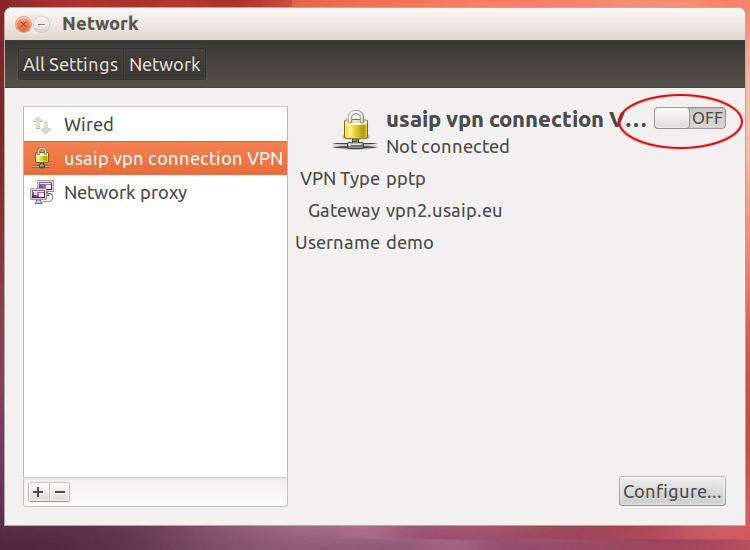 The gateway is one of the server names that you can find in your USAIP account when you log into your profile. Scroll to the bottom of the profile page to see all available server names and locations. 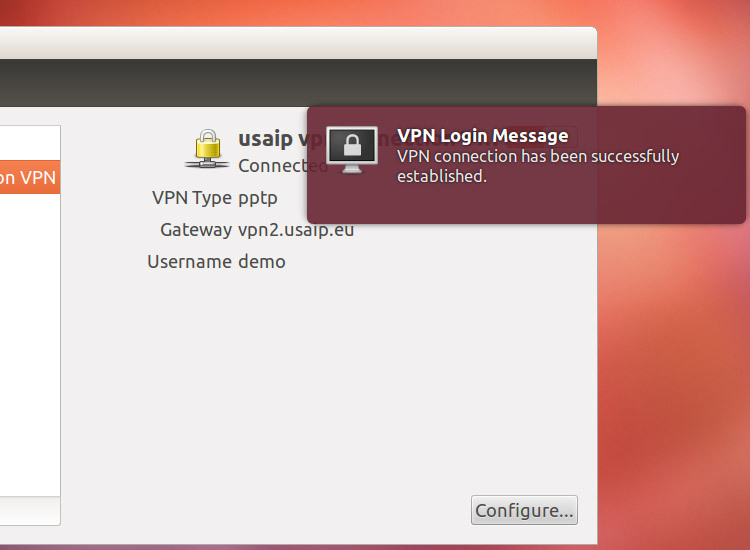 The username is your USAIP VPN username (email address) and the password is the same password that you selected when you signed up for our service. 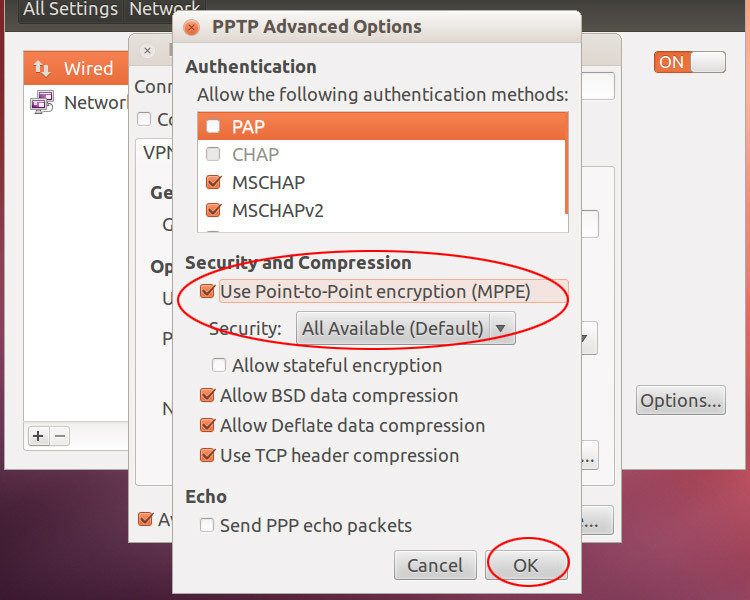 Enable MPPE to make sure that the connection is encrypted. This is an optional step however. Encryption will casue a 5-25% performance loss depending on your computer and network connection. 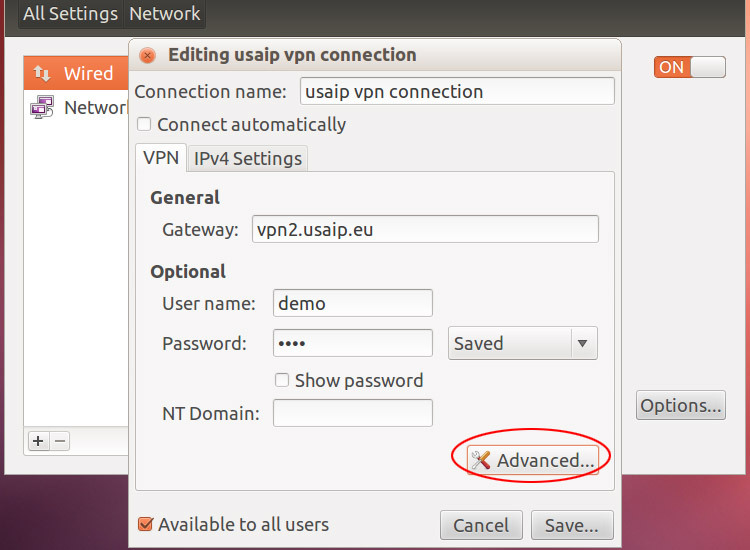 If the VPN is used mainly for online media streaming, you may leave this off. If you want to save your password, you may be prompted for your keyring password. 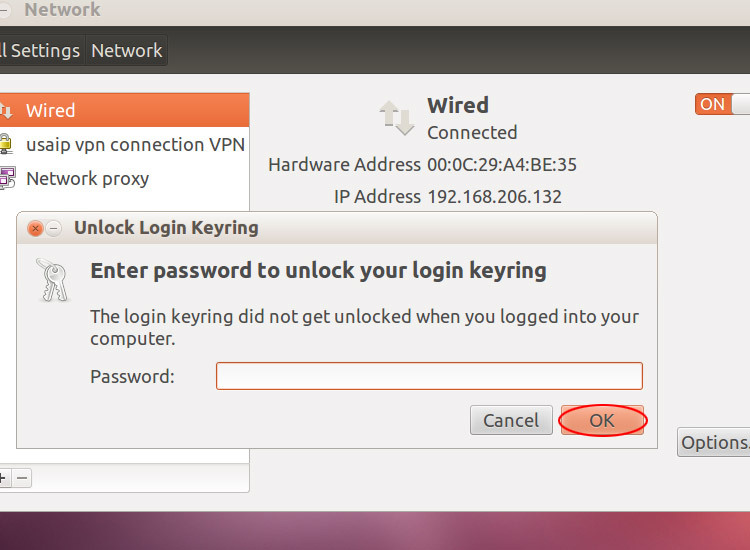 Unless set up differently, this is your root password by default. 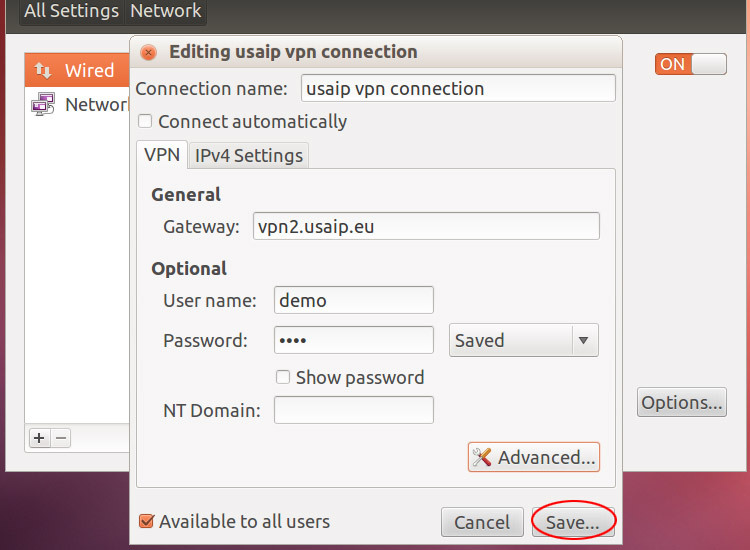 Slide the VPN switch to the ON position to connect. To disconnect, slide it to OFF.